Jump into some fun with friends in a private group surf session, perfectly suited to match your group’s abilities. 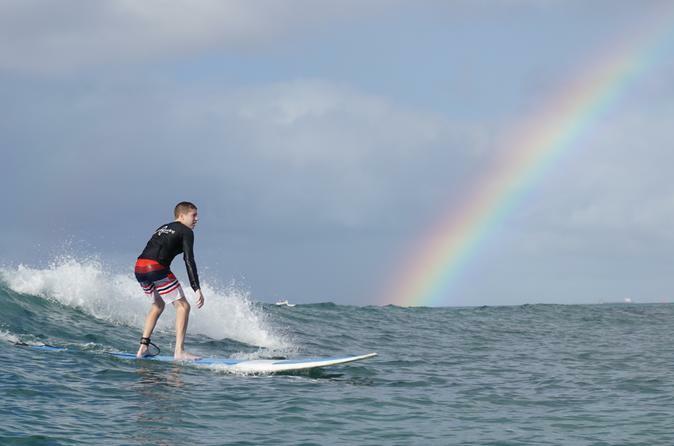 Get individualized lessons while only surfing with those you know. Your lessons start on the sand with ocean awareness and safety. Then we get you right into the surf for a rush of wind and waves. No worries, our licensed instructors are trained in first aid and lifeguard CPR. Once in the water, we show you how to read the waves, position your take off, and the etiquette of wave riding. Whether you’re a one-on-one type or you prefer fun with friends, our customized lessons are built to make your adventure on the waves one to remember. Jump into some fun with friends in a group surf session — meant for just two to three — perfectly suited to your group’s abilities.